Your drive is uninhibited. Your engine should be too. The Twin Turbo V6 Engine propels you beyond measure with breathtaking horsepower. 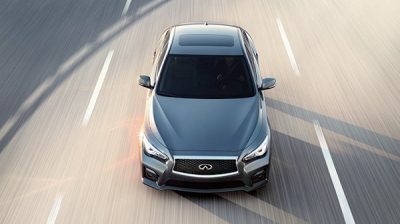 Experience the feeling of acceleration with the most advanced V6 in INFINITI history. 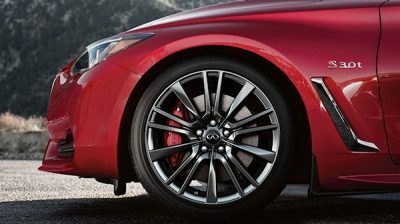 This is the lightest, most powerful V6 engine INFINITI has ever created. It’s also the cleanest and most fuel-efficient. Engineered to take you beyond, our 3.0-litre Twin Turbo V6 is available in 300 and 400 horsepower. 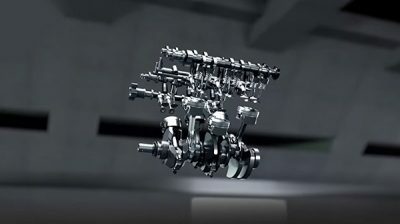 With advanced turbo technologies, it delivers unparalleled power, torque and fuel economy for an engine its size. Gain momentum instantly. In the Twin Turbo V6 Engine, an electric motor improves valve timing by reducing any delay at the start of acceleration. This makes throttle response faster, so the feeling of flight can take hold in seconds. You give your all. 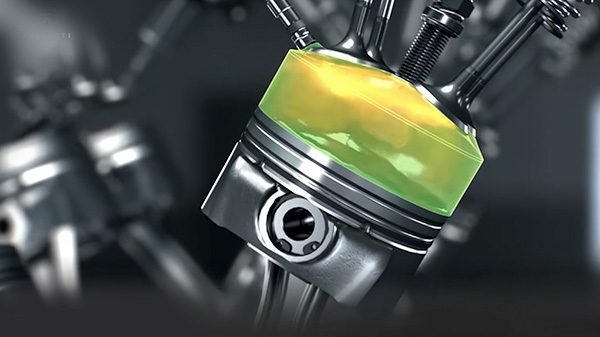 Your engine should be no different. Our Twin Turbo V6 includes a special turbo speed sensor that generates 10 percent more power. It allows the turbine to reach up to 222,000 RPM, so turbo speed peaks higher. From our exteriors to our engines, we aim to move you with every line. 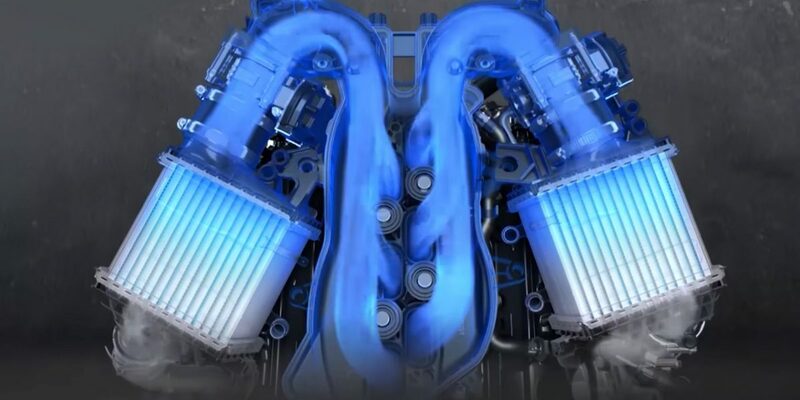 The Twin Turbo V6's precision-cut design helps achieve maximum performance by quickly compressing and circulating the air within the turbochargers. 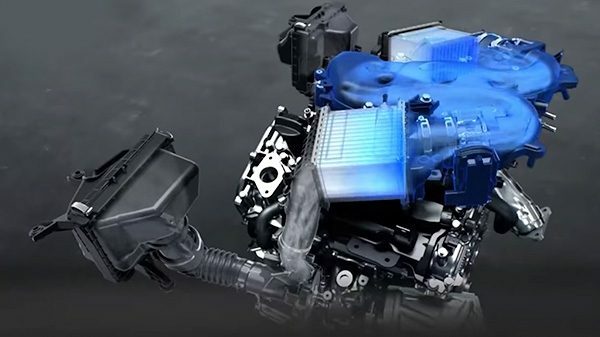 To further fuel your drive, the twin turbochargers channel water-cooled air to the engine. Denser and more oxygen rich, it reduces turbo lag for even quicker acceleration.